Neuhoff Communications has launched the inaugural class of the Fast Forward Leadership Program. The Neuhoff leadership team nominated several candidates for consideration and six were chosen: Chad Baker, Neuhoff Media Danville; Taylor Brown, Neuhoff Media Springfield; Jeremy Hardman, Neuhoff Media Bloomington; Emily Phillips, Neuhoff Media Decatur; Amanda Van Meter, Neuhoff Media Lafayette and Dianna Towns, Neuhoff Communications. The criteria used to evaluate the candidates for this program included their leadership potential, skill in managing current responsibilities, demonstration of the core values of grit, innovation, community and excellence and potential to help identify opportunity to make Neuhoff Communications better. 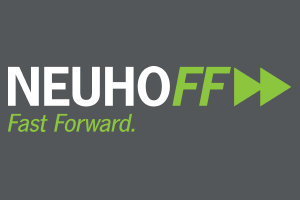 The Fast Forward program will demonstrate and continue the mission of Neuhoff Communications as the sign most important source for local news and entertainment in the markets we serve. Each member of the Fast Forward team has been assigned a mentor from the Neuhoff Communications leadership team to assist in their professional development. The team will also work together on a capstone project that will be presented to each of the Neuhoff Media markets and to the Neuhoff Communications Advisory Board. “Anyone who doubts there is a deep bench in the local media business need look no further than these talented individuals. The future is very bright.” Adds President/CEO, Beth Neuhoff. For more information on Neuhoff Communications’ programming and leadership visit www.neuhoffmedia.com. Founded in 2003, Neuhoff Communications is a privately held, award-winning local radio, digital and communications company focused on Central Midwestern markets. With their slogan, “Media Made Locally.”, Neuhoff leads the industry in their devotion to the communities and audiences they serve.